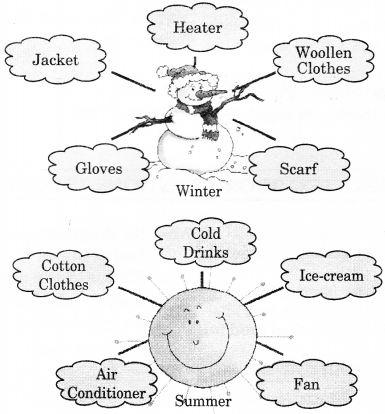 NCERT Solutions for Class 2 English Chapter 21 The Grasshopper and the Ant are part of NCERT Solutions for Class 2 English. 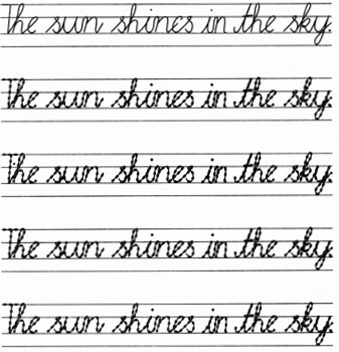 Here we have given NCERT Solutions for Class 2 English Chapter 21 The Grasshopper and the Ant. This story is about a lazy grasshopper. The grasshopper was so lazy and spent his whole time idle. That was a summer season and hardworking ants were working day and night to store the ‘food for the winter. The grasshopper often laughs on them. Summer ended and cruel winters arrived. It started snowing. There was nothing to eat. The snow was everywhere. Grasshopper suddenly remembered that he saw its neighbour ants storing food for the winters. At last he visited them. The ants shouted on him and called him lazy. Finally grasshopper learnt the value of the hard work. 1. Once there lived a lazy grasshopper. 4. The grasshopper now began to worry. and cold. I have nothing to eat. 6. The ant shook in anger. Lazy one! What were you doing all summer? You were only singing and dancing. How did the grasshopper spend his days? टिड्डा अपना दिन कैसे बिताता था? The grasshopper spend his days idle. Did the grasshopper find food in winter? सरदी के दिन में क्या टिड्डे को खाना मिला था? No, the grasshopper did not find any food in winter. What did the ant tell the grass hopper when he asked for food? जब टिड्डे ने चींटी से खाने के लिए कहा, तो चींटी ने क्या कहा? The ant said him that in summers he was passing his time idly. She also called him lazy. If you were asked to store things for the winter, what would you store? Name any three things. I would store gloves, socks and warm clothes. कौन-सा मौसम तुम्हें सबसे अधिक पसंद है? I like the winter season the best. Tell the class the story of the grasshopper and the ant in your own language. When you hear winter and summer, what are the words that come to your mind? Write these words in the bubbles. Under picture A sentences describe what each person / animal is doing. Under picture B write down what each is doing. 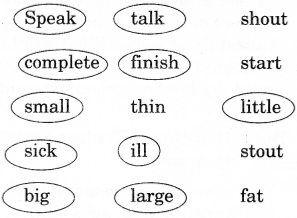 Use the words ‘he’, ‘it’, ‘they’ instead of a lady, a man, two girls and a dog. (ii) A man is running. (iii) Two girls are playing. (iv) A dog is sleeping. (i) She is cutting the grass. (iii) It is drinking water. 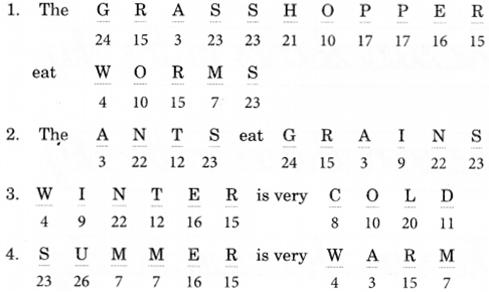 We hope the NCERT Solutions for Class 2 English Chapter 21 The Grasshopper and the Ant, will help you. 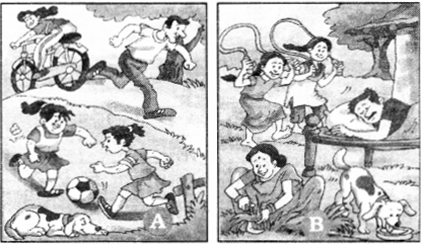 If you have any query regarding NCERT Solutions for Class 2 English Chapter 21 The Grasshopper and the Ant, drop a comment below and we will get back to you at the earliest.